TCX says that their Lady range has been specifically designed to fit the anatomy of the female foot, which has a thinner metatarsal area, a more accentuated instep area and generally a smaller heel. The waterproof, CE-approved X-Boulevard boots are made from full-grain leather and have a soft-touch waterproof membrane inside. They feature a 4.5cm heel which can help riders with shorter inside leg measurement reach the floor and protective reinforcement at the malleolus, heel and toe. They fasten using a zip on the inside of the leg and there’s an adjustable leather band. 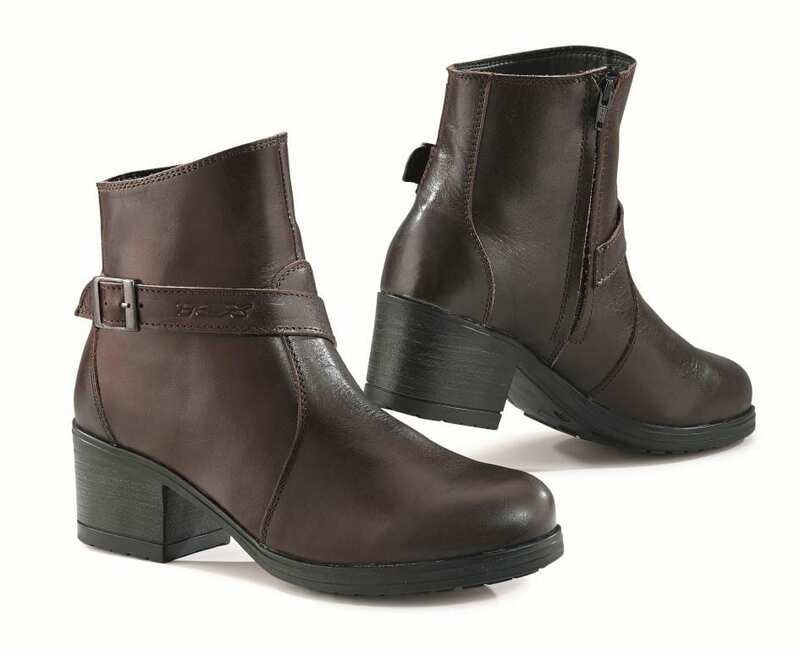 Available in sizes 36-41, in black and vintage brown, they are in dealers now.